We’ve been remiss about telling you about our last National Catholic Sisters Week event! 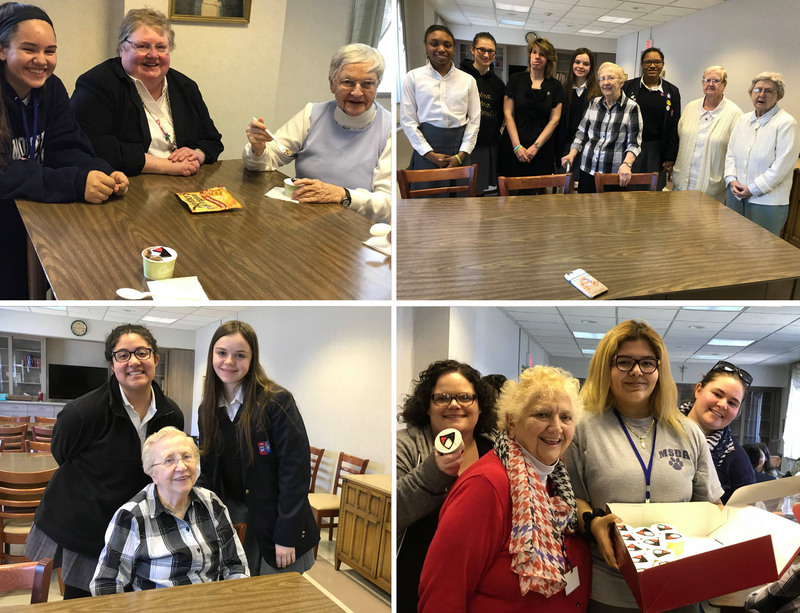 Last Thursday, a group of students from Lacordaire Academy, Saint Dominic Academy, and Mount Saint Dominic Academy joined residents of Saint Catherine’s Healthcare Center and Convent for an outreach project. Those gathered packaged socks, tissues, and other toiletries for the homeless. Afterward, everyone joined in for an ice cream social. 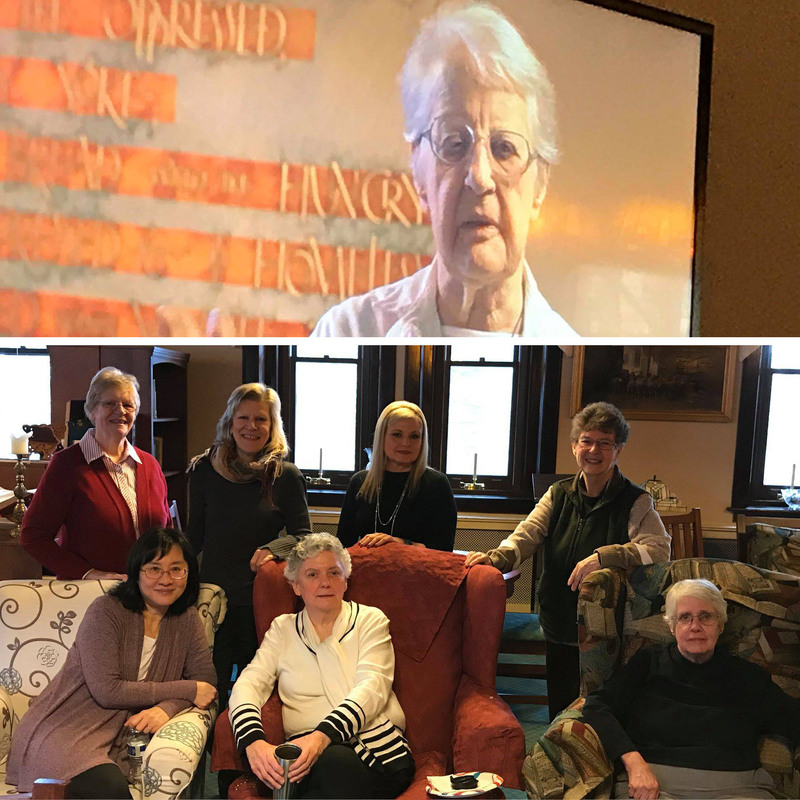 On Tuesday, we celebrated National Catholic Sisters Week by taking the Motherhouse staff on a virtual tour of the sisters’ artwork displayed throughout the building. Sister Elaine Keenan, Director of Archives, facilitated the event. The virtual tour featured Sister Gerardine Mueller, our Studio Artist in Residence, bringing the works of art to life with her descriptions. Staff members commented that they often pass these artworks throughout the building, but the virtual tour really helped to “see” them and learn about the sisters who created the pieces. 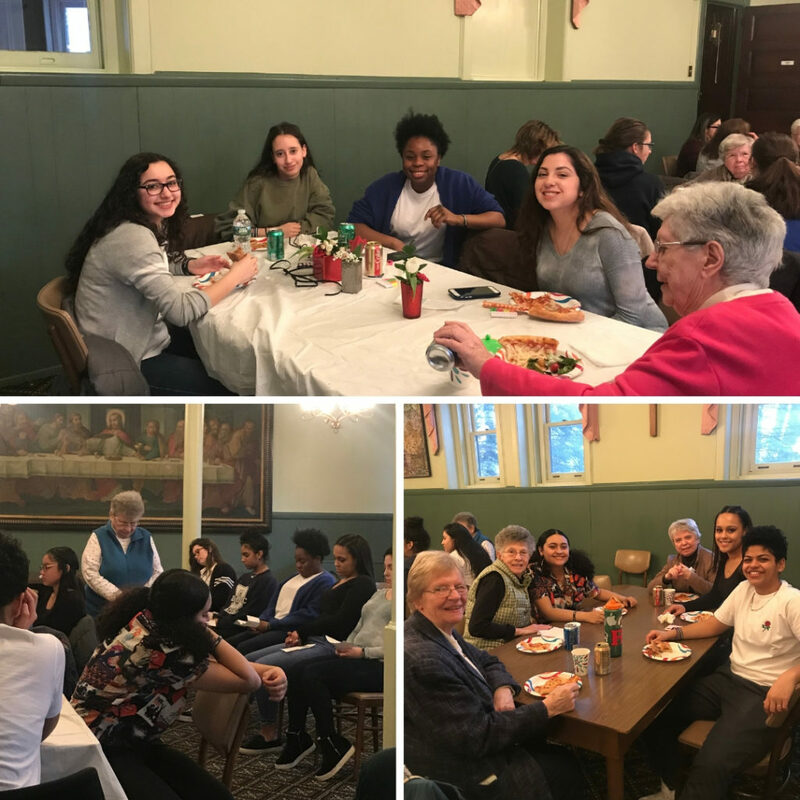 Last night, for National Catholic Sisters Week, students from Mount Saint Dominic Academy were invited to the Motherhouse to join sisters in discussing articles written about members of the congregation. The students were given the articles to read ahead of time to make the discussion more fruitful. Sisters Ann Monica Seemann, Mary John Kearney, and Michael Maurice Leahy, who were all featured in the articles, were present to answer questions that arose and discuss how their lives have changed the world around them. Students were also asked what they do to make the world a better place. They shared about the outreach programs in which they are currently involved, and, over pizza, there was a lot of laughter and storytelling. As part of our National Catholic Sisters Week celebration, students and staff from Mount Saint Dominic Academy, Saint Dominic Academy and Lacordaire Academy experienced “A Taste of Preaching,” a high school preaching workshop, on Friday, March 8th. Attendees first took part in a workshop with Sister Gina Scaringella, who expanded the concept of preaching beyond the traditional pulpit model to include the use of drama as a preaching tool. 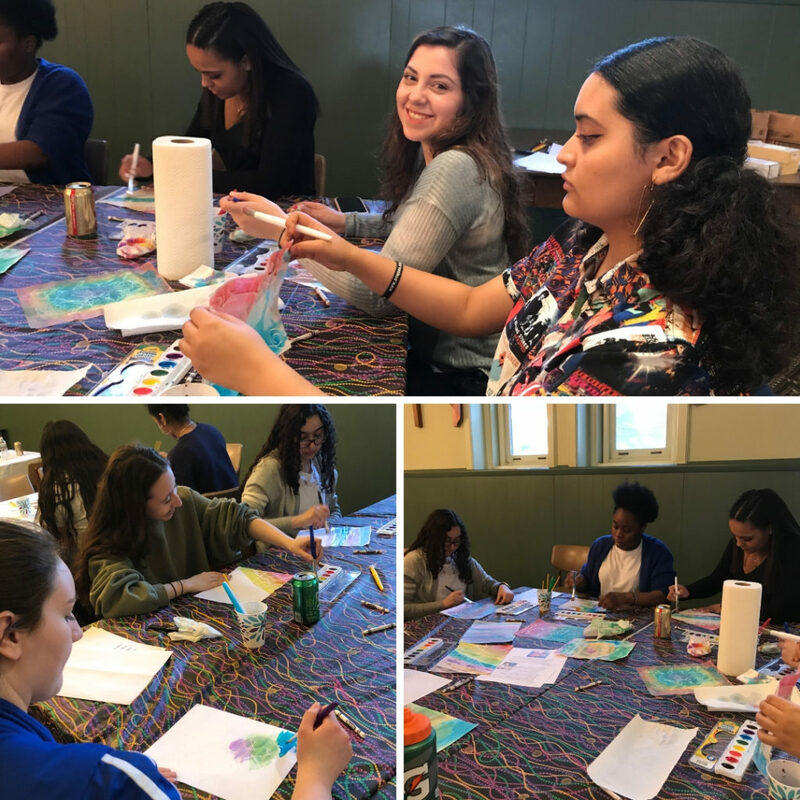 Later, students gathered in our Motherhouse where they experienced using art, particularly watercolor, to “preach” the Word. 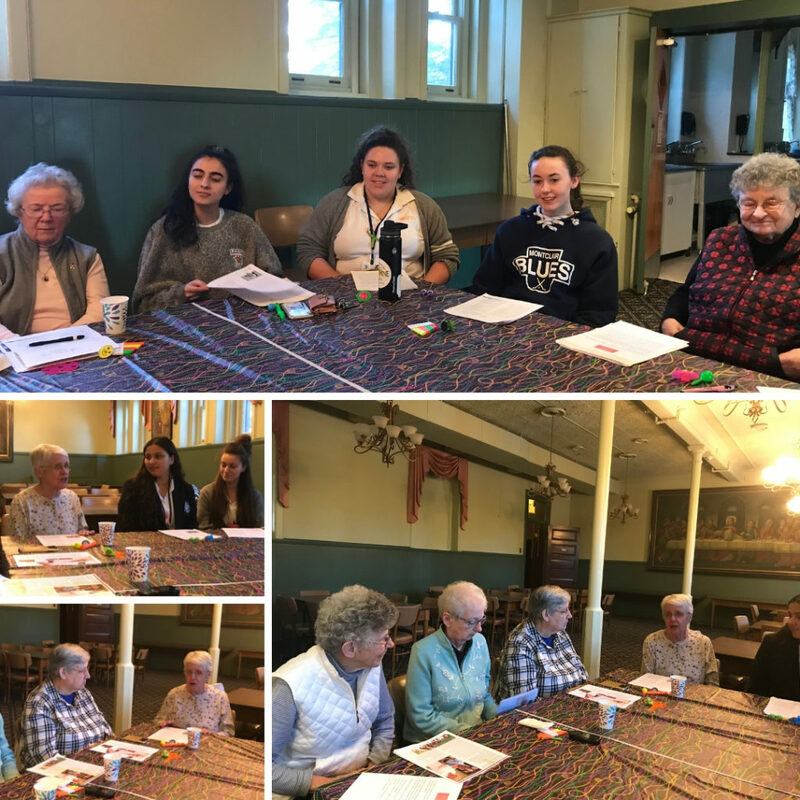 This activity was facilitated by Kaitlyn Tashjian, an associate of the Dominican Sisters of Caldwell. 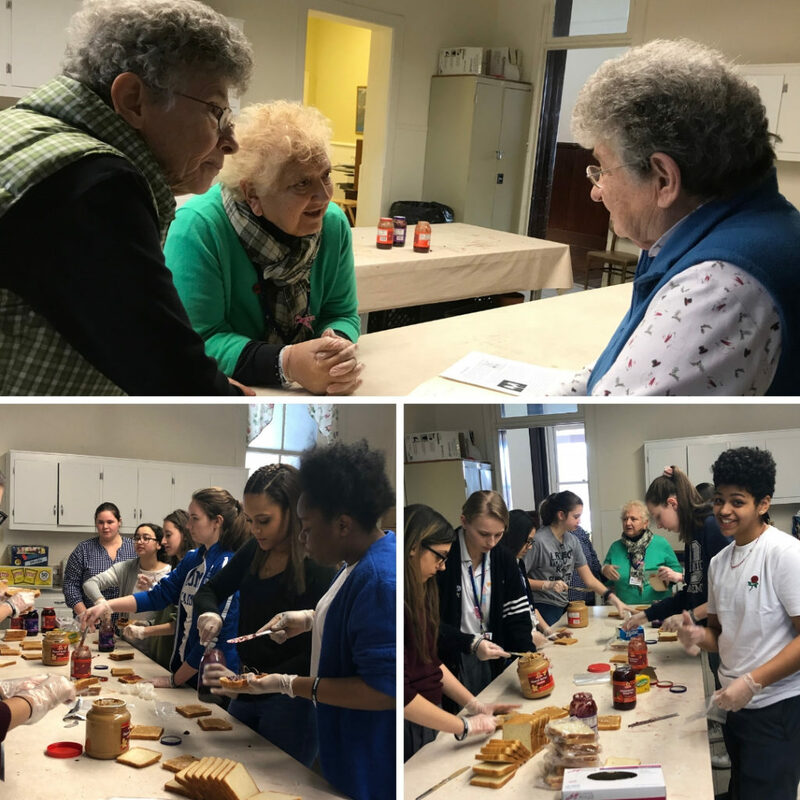 The students then made peanut butter and jelly sandwiches under the guidance of Sister Lena Picillo and Liz Owen, another associate. The sandwiches were given to a homeless shelter to be shared with people in need. “A Taste of Preaching” closed with sisters joining the students for a prayer led by Sister Alice Uhl and sharing their day’s experiences while enjoying pizza.